What kind of things do you like to do for fun? Lots of people like to go out on the town, dining out and catching a movie. Other people like to stay home, pop their own popcorn, at a significant savings I might add, and plug in a dvd. Others enjoy being active and biking, sailing, skiing and running. Not surprisingly, I have never heard anybody name carpet cleaning on their list of fun things to do! That’s because carpet cleaning is a lot of work. It takes time and energy and it can be a hassle to rent the machine, haul it home, and do the job. At Oxigreen Carpet Cleaning in Warminster, PA, we understand what it takes to clean your carpets. That’s why we offer a couple of fantastic carpet cleaning specials. We want you to be able to take advantage of our professional services at a price you can afford. At OxiGreen, not only are our services affordable, the quality of our carpet cleaning far outshines any DIY job you could do with a rented machine. The fact of the matter is, the vast majority of carpet cleaning machines available to the average homeowner clean only the surface of their carpets. Unfortunately, the dirt, bacteria, dust mites, pollens and other debris that is trapped deep within the carpet fibers remains completely undisturbed. So while your carpet may look cleaner, they are still harboring allergy causing substances that affect the air quality of your home and the health of your family. For $99, OxiGreen will use our powerful carpet cleaning equipment and our 100% biodegradable cleaners to efficiently and effectively give tow rooms and one hallway a deep cleaning. Your carpeting will not only look and feel cleaner, it will be cleaner as well. 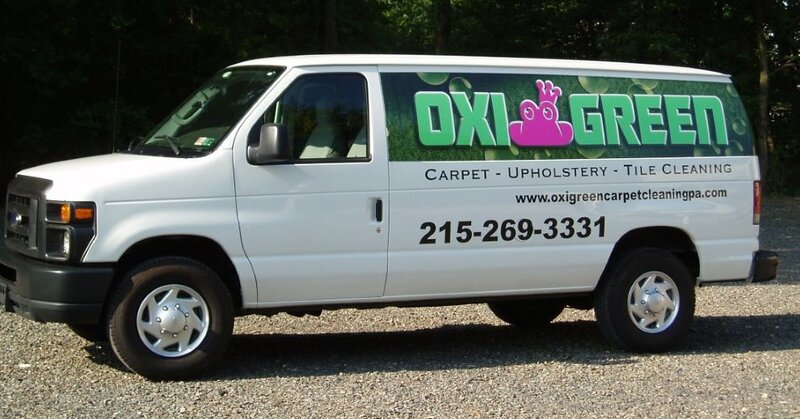 Call OxiGreen today at 215-269-3331 for a free quote or to schedule your carpet cleaning. Same day appointments are available to commercial and residential customers alike. Or visit us online at http://oxigreencarpetcleaning.com to learn more about our company and our other specials and professional services, including carpet stretching, carpet repairs, and tile and grout cleaning.